(anon). Auburn. A Century of Memories. 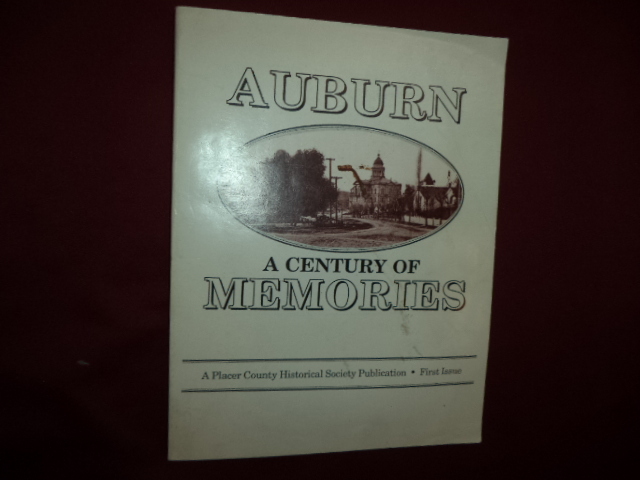 A Place County Historical Society Publication. Photo available. Auburn. Place County Historical Society. 1988. 150 pps. 4to. Soft cover. First edition. Illustrated. Important reference work. Very good copy. Light shelf wear.